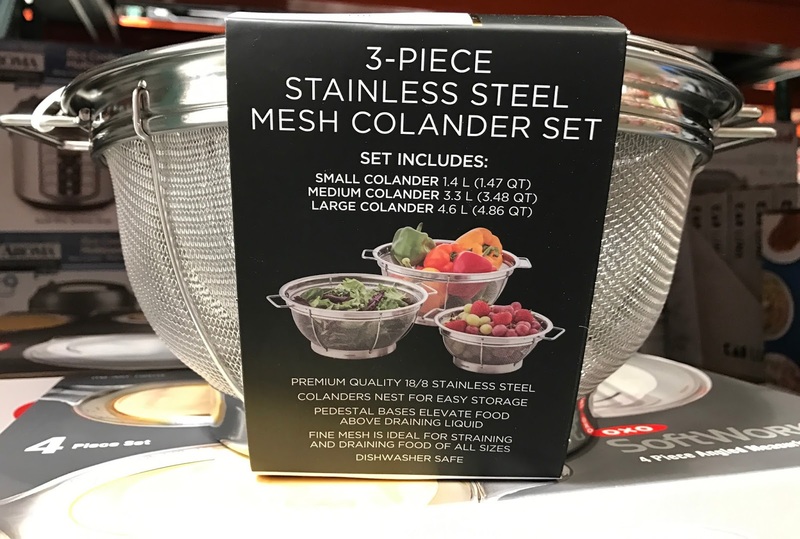 The Sabatier 3-piece Stainless Steel Mesh Colander Set is great for washing or straining fruits, vegetables, and pasta and more. I like the fact that the pedestal base elevates the food above draining liquid. 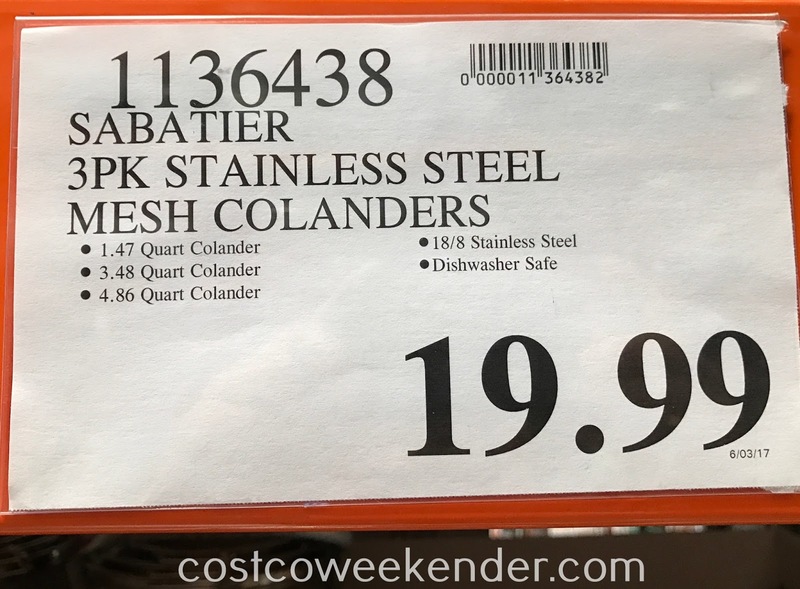 Each features fine mesh for superior draining, and a pedestal base to provide excellent stability. And, more importantly, they are dishwasher safe. Let's face it, cleaning bits of cooked pasta from a mesh strainer is not the easiest thing and is tedious. 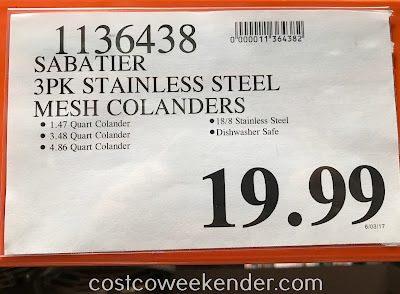 So I'm glad to know that I can just put the Sabatier colanders in the dishwasher to clean it. And the loop handles ensure a secure grip during use. When cooking, you have to have the right tool to do the job properly. 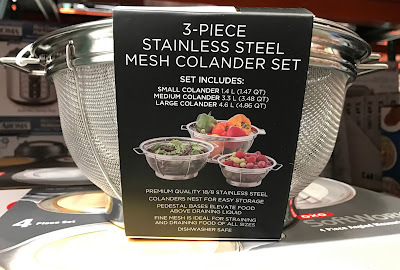 So you can start with the Sabatier 3-piece Stainless Steel Mesh Colander Set from Costco.